Last September, we lost a treasured member of our family. 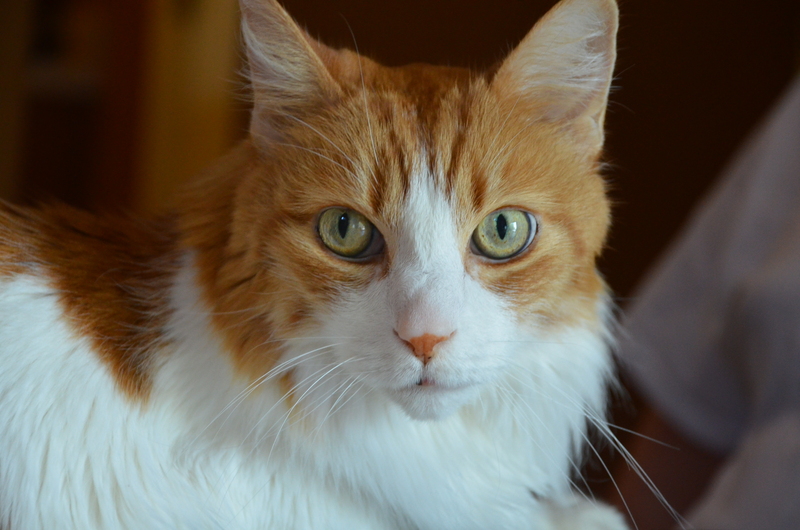 After 16 years of loving and enjoying our cat Riley, he died from kidney failure complications. Riley came into our family one year before we had our first child. He lived to see us bring home six babies in all. He moved with us four times. Two of these moves were fairly short, but two were more than 400 miles. Through each change, he adapted to his new situation. He mellowed with age, and toward the end of his life, the once-spunky kitten had turned into a calm, old cat who shockingly was known to groom our pet bunny once in a while. My love for Riley surely showed through in letters to my sponsored children because I received quite a few condolences regarding his death. These responses ranged from compassionate and simple: “It is sad to hear that your pet Riley has died,” from Daniel, 14, in Bolivia, to downright funny: “Sorry for the dead cat. I hope you get another one,” from 14-year-old Seline in Kenya. Still others were eager to make things better by suggesting we adopt a new pet right away. These sweet children definitely lifted my spirits with their kind words, and I’m sure many of them were happy to find out months later that we did, in fact, adopt two new kittens, whose photo I have shared with them in letters already. This entry was posted in Compassion International, World Vision and tagged condolences, kind words, pets, sponsor children, sympathy. How sweet!! Your sponsored kids really care about you. And I’m sorry about the loss of your cat. It was really sweet to hear such kind words from them! And thank you.